Founded in 1988, Orton Wistow Under Fives is a non-profit making community-based setting, voluntarily managed by a Committee of parent volunteers, elected each year at the AGM, to provide support to the staff they employ. All families are welcome and valued. Playgroup is not just about learning, but also about having fun and growing as a unique individual. Throughout the year we take the children for walks, as well as our annual Summer outings. We also hold annual Christmas and Summer parties, subject to funding. We like to make fundraising fun, with events that are run with the children in mind, such as our Christmas Fayre, Fancy Dress Day, designing tea towels etc. From the age of 2 years 6 months we offer a variety of sessions. This gives your child possibly the first chance to become independent in a happy, safe and educational environment. We have developed close links with Orton Wistow Primary School over the years and liaise closely with the Reception Class teachers when it is time for the children to move on. 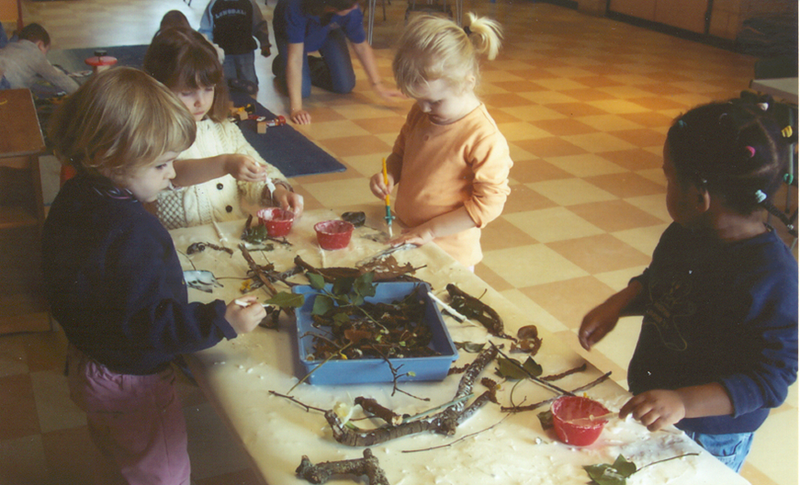 Playgroup involves all parents in the development of their children. Central to this approach, we welcome parents to stay and help out in sessions and on outings. Children’s development and learning is shared with parents through meetings, Learning Journals, photographs and play observations. Personal, social and emotional development, Communication and language and Physical development. Literacy, Mathematics, Understanding of the World and Expressive Arts and Design.